Posted on Nov 21, 2013 at 12:40. 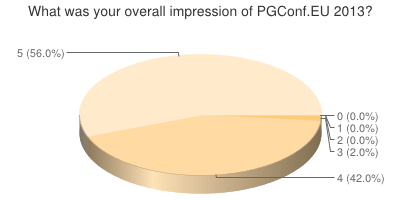 Tags: conferences, pgconfeu, pgeu, postgresql. It seems I blog a lot more about conferences than about technology these days, and that sometimes makes me a bit sad. Not because I blog too much about the conferences, but that I don't blog enough about tech stuff.. But regardless of that, it's time to post our feedback from this years conference. As we've collected the same statistics as previous years, it's easy to compare with previous years. And it turns out that a fair amount of the statistics are very similar. 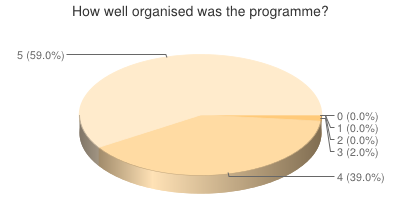 It appears we are doing a decent job of keeping up satisfaction, with almost exactly the same score as last year for overall impression and program. There is a small drop in the top score, but it's well within the margin of error of the sample. But of course, it just means that we have to keep working hard to keep the score high for next year as well, which we're very happy to see! When it comes to the users attending, we can see a rather large difference from last year. This year there were a lot more people identifying themselves as DBAs (up to 41%, from 28% last year). Application developers are still high, but have dropped to a slightly smaller portion, and the biggest decrease has been in the group of scientific users. Exactly what the reason is for this shift in attendance we don't know, but we do know there was a conflicting conference for application developers in Dublin at the same time, which may definitely have contributed to the decrease. The talk skill-level ratings (beginner/intermediate/advanced). This is something that was on the list last year as well, and clearly we've failed to improve on this. It's something we will have to try to find a way to improve for next year. The wifi in the hotel (outside the conference area itself) was really bad, and the conference wifi itself had two outages. We did spend a lot of money on getting the extra wifi that should work which took care of the first point for most people, but there was unfortunately nothing we could do about the outages, other than getting a refund from the provider. The common area during coffee breaks was a bit too small/too crowded. This is clearly something to put on our checklist for next years venue. Finally, over to what's usually the best part of the feedback to look at - the ratings of our great speakers. We're happy to see that our speakers have kept up the great levels from previous years, with almost identical numbers as in 2012. 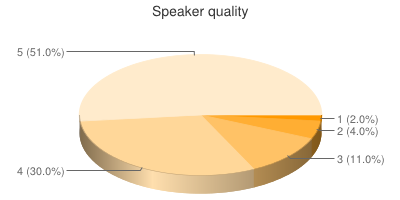 This also means that the new speakers that we had this year have all done a good job of keeping the average up! So once again, a big thanks to our speakers! 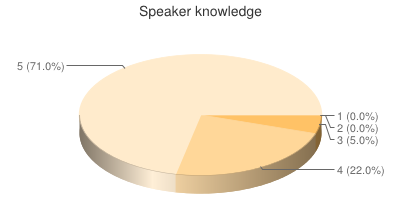 The scores are, just as last year, the average between the two speakers in the case that there was a presentation given by two speakers, and I have filtered out any speaker with less than 5 votes in the feedback. That's 22 speakers with 4.7 or higher average!! While slightly lower than the knowledge score, I am still very happy to see these numbers! That's all we have for publishing at this point when it comes to feedback. We of course have some feedback left directly to the organizers that we are looking over for next year, and will also soon begin the process of deciding where we're going to go with next years conference. Because there will definitely be another one! Magnus what about next year conference venue voting? Posted on Nov 22, 2013 at 08:41 by Pavel Golub. We did ask such a question in the feedback, wihch can be considered "voting". 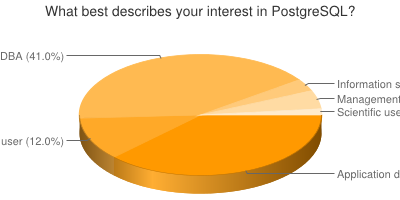 So we do have the data about peoples preferences there. The actual selection process is a bit more involved than just looking at that of course, but it's one of the factors we definitely look into. Posted on Nov 22, 2013 at 10:38 by Magnus.